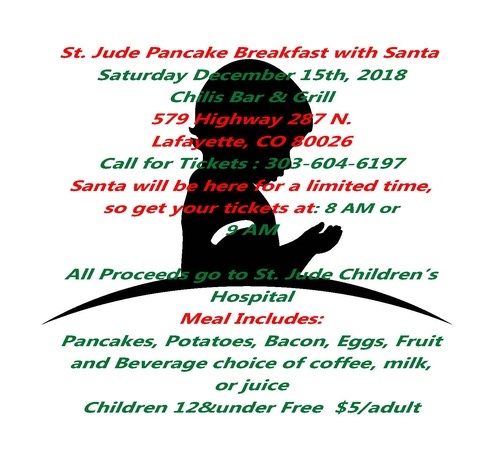 St. Jude Pancake Breakfast with Santa! Santa will be here for a limited time, so get your tickets at 8 am or 9 am. All proceeds go to St. Jude Children's Hospital!